If we asked you what the three biggest reasons are for having a dental marketing plan in place for your business could you tell us? It’s OK if you can’t, but it’s even better if you watch this video where Alison explains why, like any good business, having a dental marketing plan is essential to helping grow your practice and solidify your brand. 1) It’s important to set your goals. Write them out if you have to or visualize them coming true, whatever helps you achieve success. Alison will tell you why setting specific goals is extremely important for tracking and measuring what’s working. 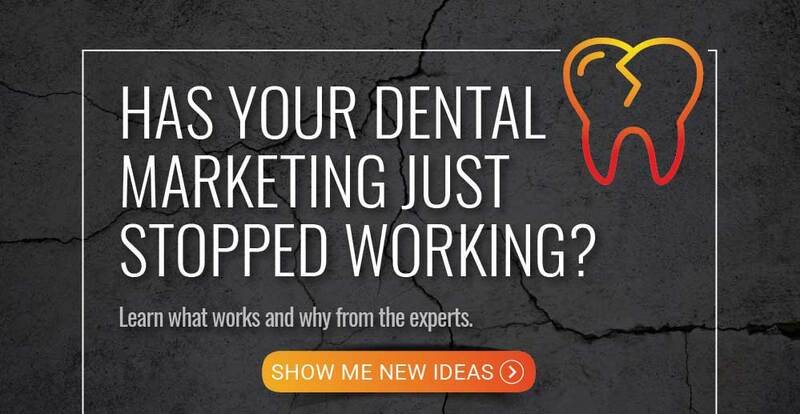 2) A custom dental marketing plan can help you see the big picture and the small details more clearly so that you’re making the most of each of the steps of the marketing funnel so changes and improvements can be made along the way if necessary. 3) Your dental marketing plan will give you a clear idea of what your competition is or is not doing so you can capitalize on your piece of the local market. Alison: 00:00 There’s a week and a half left of 2018. Do you know what you’re going to do in 2019 to help you reach your practice goals? Alison: 00:07 Hi, Alison at GPM here to talk about the importance of having a dental marketing plan for your dental office. Alison: 00:14 The truth is your dental office is a business, and like any good business, you need to have a marketing plan in order to continue to grow. So today, we’re going to talk about three reasons as to why you need a marketing plan for your dental practice. Alison: 00:29 Up first, goals. Writing your goals out on paper helps make them real. In fact, neuroscientists have concluded that writing out your goals and visualizing them makes it more likely for them to be achieved. Alison: 00:43 Now, when it comes to setting goals, try to be as specific as possible. For example, instead of saying “I want more new patients in 2019,” try “I want to grow my practice from 15 to 25 new patients per month in 2019.” Not only does a specific goal make it really easy to measure, it’s also really easy to track. Want more new patients? Choose the right strategies. Alison: 01:07 Next, a marketing plan helps you look at the big picture and all of the tiny details at the same time. For example, when it comes to marketing strategy, it’s not only about a new patient generator, such as let’s say Google Ad Words. It’s also about what happens after somebody clicks on your ad. What are they seeing when they get to the landing page? Do you have call tracking metrics in place? Are you monitoring the phone calls to see how many of your clicks and calls are then converting into appointments? Making sure you’re analyzing each step of the marketing funnel is crucial in determining what strategies are needed, which ones are working, and which ones need some improvement. Alison: 01:47 Lastly, establishing a marketing plan allows you a chance to look at your competitive market. Take some time. Poke around on your competitor’s websites. See what their websites look like. See what features are there. Are they utilizing an online chat? Can a patient schedule online? What are their new patient specials like? Getting an idea of your local market and the competitive landscape can help you identify areas and strategies that can help you capitalize on your piece of the market. 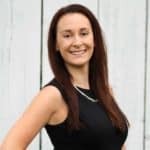 Alison: 02:17 Putting together a well thought out, comprehensive dental marketing plan helps keep your business healthy so you can continue to keep your patients healthy. Don’t let another year go by without setting some goals for yourself, and putting together a comprehensive plan that will get you there. Alison: 02:34 If you have any questions about dental marketing plans, or what you should consider when putting one together, we’re here to help. Comment below, chat us on our website, or call us today for a free consultation. Alison: 02:46 Thanks for tuning in. We’ll be back next week for another helpful tip. Happy holidays!